Skeeter syndrome is an allergic reaction caused by polypeptides that are found in mosquito saliva. This reaction is rare and non-contagious. In most cases, individuals with history of allergic reactions are the ones who suffer from this disease. Red lump appears on the area of the bite. Swelling and large bumps appear on different areas of the body other than the bite area. In rare cases, angioedema and anaphylaxis develop. Infections happen due to excessive scratching. 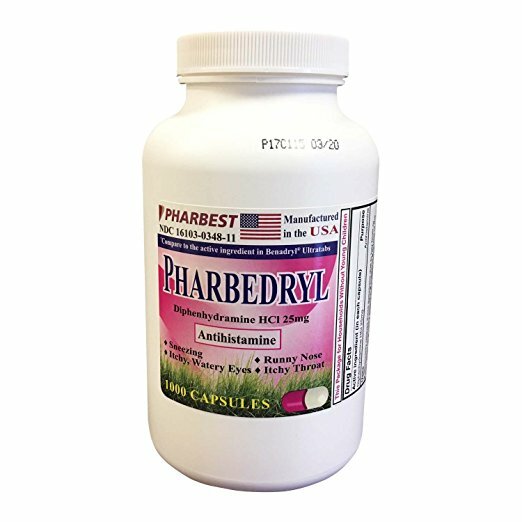 It is also best to keep anti-allergy medicines at home such as Benadryl, particularly in areas with large populations of mosquitoes. It is also best to check with a physician in case of symptoms like blisters, difficulty in breathing, short breaths, and swells are observed. The faster medications are administered, the better for the patient’s health. To lessen the pain, itch, and burn, administration of corticosteroids and oral anti-histamines are commonly administered. These medications also help alleviate the symptoms of asthma as well as limit the development of blisters in other areas of the body. In case of anaphylaxis, it is important to send the patient to the hospital so that they are given the right dosage and type of medication. Anaphylaxis is a life-threatening reaction. Medical attention from a physician is needed to ensure proper care. If you have experienced allergic reactions before from mosquito bites in the past, it is best to take a dose of Cetirizine Allergy a day. Taking this during summer seasons when mosquitoes are more prevalent helps deal with allergic reactions due to mosquito bites. Instead of spending money on medications for the allergy, you can repel mosquitoes instead. 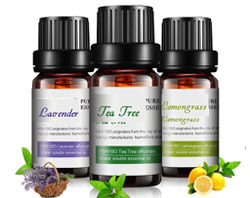 One effective way of doing this is by using aromatherapy through the use of essential oils. Citronella, Lavender, Eucalyptus, Lemon Grass and Juniper Berry are plants that are known to have properties that keep mosquitoes away. 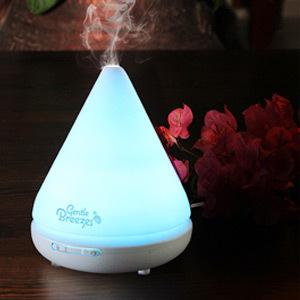 Using an Ultrasonic Essential Oil Diffuser and its cold misty vapors to repel mosquitoes and at the same time adding fragrance to the room is the best way to prevent yourself from being bitten. 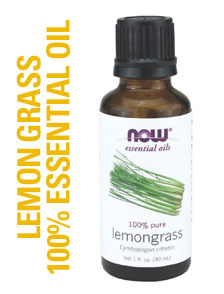 Adding a few drops of Essential Oil such as Eucalyptus with some Lemon Grass or Citronella in your diffuser keeps mosquitoes from biting you because their sensors are distracted. 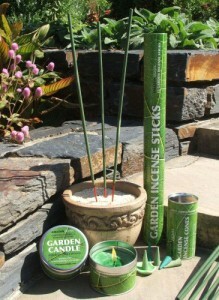 If you are outside and you want to sit in the garden and don’t want any mosquitoes or other insects around, try the All-Natural Insect Repellent Outdoor Garden Incense Sticks. It is also helpful if you place them near shrubs around the house because that is where mosquitoes like to gather. On top of that, they smell nice as well. For areas with thick mosquito population, using my special Insect Shield Synergy Blend on the right side of this page will protect you and your family from mosquito bites by spraying it on you on or use it in an Essential Oil Diffuser to keep those skeeters away. Most cases of Skeeter syndrome happen to children because they have relatively low levels of immunity. Parents should make sure their children are well protected from mosquito bites especially those who are prone to allergic reactions. Part of prevention is maintaining cleanliness at home and staying as healthy as possible in a daily basis. Overall healthy lifestyle helps the body fight allergies and other harmful diseases. For instance, by using an Aroma Diffuser with an essential oil recipe during the day, and sleeping underneath a Mosquito Net Canopy at night will greatly reduce your chance of being bitten. Hi! Just wanted to let you know I found your article fascinating. But I thought you might want to know that I too am allergic to mosquitoes. Wasn’t this way as a child, it has been a recent development (I am 35). I told my husband it is just VA mosquitoes I am allergic to since I didn’t swell up in OH, where I grew up. And while I have been working on my diet, my probiotic consumption has always been constant. So I am still looking for other remedies to the problem. Boy is it awful. Last year my leg got bit three times on the calf and the next day it swelled up so bad I couldn’t walk on it. I haven’t tried permethrin on my clothes yet. Thank you for that suggestion. Wish me luck! thanks for visiting our site and leaving a message! We are constantly tying to inform better and natural ways to treat and protect yourself from those nasty skeeters. Using the permithrin spray on your clothes is a very good choice. It is orderless (after it has dried) and it does not damage clothing. We will be adding more ideas soon about various new ideas about repelling and treating mosquito bites so come back and visit us soon! I like Jess didn’t start getting skeeter syndrome until my mid 40’s. Dealing with it now. I too am not a child and began experiencing skeeter syndrome a few years ago. I am in my 60’s now and while showing homes last week got bit in 6 places by mosquitoes. Each bite became a blister, and one in particular on my calf was red almost all around my leg, hot and painful, along with a very large blister. I remember using Ichthammol salve on myself and my children many years ago when a skinned knee would get infected. It drew out the yellow/green puss and healed the area quite quickly. Unfortunately, I remembered this on day 5 of my reaction to the bites. 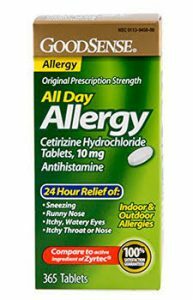 I went to several drug stores and was told they no longer carry the product, they can’t even get it, that I should try antihistamines. Well, I take one everyday for my allergies so I knew that wouldn’t work. I went on line to hunt for Ichthammol salve and found “Hyland’s Smile’s PRID”. It is a homeopathic medication that contains Ichthammol and my local Walmart carried it! The next day I went and purchased a tin and applied it to each blister. Within 24 hours the blisters were no more and the sore, red blister on my calf was no longer red, hot and painful and the blister was drained. Within 48 hours, all that was left on my calf was a large red dot and all the other areas where I was bit were healing up nicely. Ichthammol is a great product and I wish the manufacturer would bring it back! In the meantime, Prid works just as well, but comes in a tin instead of a tube so it is more difficult to apply. For the future, I will try putting lavender oil in my cream to prevent bites in the first place. Better to prevent than to try to get rid of bites after the fact. Ichthammol provides antibacterial, anti-inflammatory and anti-fungal action and there variety of suggested uses for this so called black ointment salve and one of them is treating insect bites. There are also potential side effects such as scarring and/or burning of the skin with use of black drawing salve so it is always best to check with your health care specialist before self-prescribing any home remedy. For treating a mosquito bite follow the basic steps on our ‘how to treat a mosquito bite’ page. Once the bite is clean i would advise to use 1-3 drops of Tea Tree Oil with a cotton swab. This will get deep into the infection and cure it quickly. I have a very bad case of Skeeter Syndrome. I was bitten 2 days ago and my bites are the size of a half dollar. I have not been itching them but they are very itchy and I cannot wear clothing that covers them for a long period of time. What should I do? You could take an antihistamine like Cetirizine Hydrochloride Tablets which i discussed earlier on this post. It is used to temporarily relieve the symptoms of your type of allergy. See your doctor if your allergy does not improve during the first 2-3 days of your treatment. My boyfriend was stung by something two months ago and ended up being on an IV drip of antibiotics for over a week. His leg was completely swollen and he never received an answer why it had happened. Hello Kate, thanks for writing us! I just want to add that more and more people nowadays are using all-natural repellents against mosquitoes. A small spray bottle mixed with a few drops of essential oils combined witch hazel and distilled water is the safest and best way to prevent yourself from being bitten. It will not only repel mosquitoes but leaves a nice smelling fresh scent. 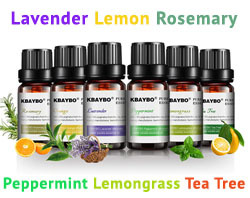 Try lavender, peppermint, lemon grass or citronella essential oils. 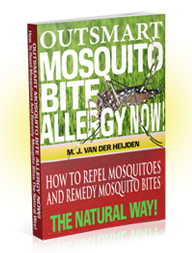 Tip: Read our recently published book: Outsmart Mosquito Bite Allergy Now! and learn how to make your home and surroundings free of those pesky mosquitoes! I went to this beach last year and stayed by the shore for a few hours that night. The next following days, the bites that I had were all very red and swollen, some even leaving a bruise. It took 2 months to completely heal those marks. Coincidentally, I went to the same beach at the same day of this year and again I got bites that are red and swollen. I find it strange though, because I also get mosquito bites from somewhere else, but they don’t have the same effect as those on that beach. Do you think I suffer from Skeeter Syndrome? If so, can you explain why it only happens when I go to that particular beach? Thank you! PS, I have a sensitive skin. I am now in my 20s, but when I was a child, I had an allergic reaction to a bee sting once. Also, I have experienced quite a few kinds of skin allergies, but this one (mosquito bites) only started last year. Hello Nelly, i do not think you suffer from skeeter syndrome. The reason why your mosquito bite reacts different is because there are different type of mosquitoes. You might be bitten by the Asian Tiger Mosquito This agressive mosquito has invaded the southern parts of the US and is spreading up north, particularly by commercial movement of scrap tires that contain standing water which is the perfect places for them to breed. Tip: next time when you are at the beach try using a sunscreen lotion that contains insect repellent (see my suggestions in the sidebar). Good Luck! Thank you for your article. It is great to know we are not alone. My daughter (7yrs old) has Skeeter Syndrome which has progressively got worse over the last few years. One bite can cause an entire limb to swell, she becomes lethargic and nauseus. There are very few doctors who have taken her reactions seriously, ignoring it until the point of hospitalization. We are lucky to have found a doctor and specialist who take her seriously. I am also thankful to the internet and sites such as yours that inform people. Hi Tracie, thanks for your comment and yes you are right Skeeter Syndrome can sometimes be misdiagnosed as cellulitis. Especially young children are at increased risk for severe reactions to mosquito bites. Please follow the tips on our site how to prevent your child from being bitten by using natural essential oils and sleeping underneath a mosquito net. All the best! As I search the web for information about Skeeter syndrome I keep seeing Virginia pop up. I’m a Virginia resident and in the last 2 years I’ve developed an allergy to mosquito bites unlike any I’ve ever seen. This year my sister has also started reacting like I do. The bites themselves have tiny blisters associated with them but the area around the bite swells up horribly. I have a bite right now on my arm that has caused the area from my shoulder to my elbow to swell to twice it’s size. The area is hot and red. Im taking Benadryll to help with the itching. I wear long clothing and douse myself in insect repellant every time I leave the house. I was bitten on my leg earlier this year. That bite took about 3 weeks to go away and during the first week the swelling was so bad you could see the bite thru my clothing. Also I notice that other allergies are common in people that suffer from skeeter syndrome. My sister and I carry Epi-pens to treat anaphylaxis from other allergens. My daughter is 4 an highly allergic to them. She gets bit and immediately swells. We mark the swelling right away if the site swells larger than a quater in the hour. I have had to take her in for bites that have swollen an area twice or three times the normal size. She produces a fever and it is very painful for her. The skin becomes very warm and hard, resembling almost elephant skin like texture. This is most often Cellulitis and she is then put on steroids and an antibiotic. I wish there was more we could do. She looks like Rambo when she is outside. She has a ThermoCell that she carries or wears, bug spray with Deet, a belt loop fan that omits a scent and clothing patches. Summer is terrible for her. So maybe it is not cellulitis that she has after all? Please see a pediatrician if you haven’t done so already. I would suggest using a mosquito net at night in case she sleeps with windows open. Also think about using a more natural repellent instead of a DEET based formula. I wish your kid all the best. Thank you and yes she sees a pediatrician. I had to take her in lastnight for a bite that had her right ankle so swollen it started to bruise and blister. She is on more antibiotics, Zyrtec twice daily now and pednisone. I ice packed her poor foot and ankle every hour through the night. I am now looking for a pediatric allergist/ immunology Dr. In our area. Thanks again. Hello Jennifer, please follow the steps on the How to Treat Mosquito Bites article on this website. Good luck! Try Melaleuca Tea Tree Oil and Dermacort for the itching and inflammation. These are both all natural products. I have been suffering from Skeeter Syndrome ever since childhood. I am now 29. I am curious as to why some bites have severe reactions and others do not. I currently was bit probably 6-10 times over the weekend, and am only suffering from one area (my right foot) which is completely swollen. The other bites show a small infection but not as extreme. Is it potentially the type of mosquito which can affect the body differently? Just curious. And thanks for the input. My coworkers look at my swollen foot and have many questions, but it’s something I have always suffered from, so I don’t know the difference. More irritating that anything else. It could be the bite from the Asian Tiger Mosquito that is giving you a more severe reaction. Try to prevent yourself from being bitten by using my recommended mosquito repellents. Past 25 years im very much prone to the mosquito’s. After mosquitoes bite i had big bulge in the bite area. Actually it was very disgusting to see my skin had big bulge all over body.can i take any pills ? Or any vitamin deficiency? It does not have anything to do with vitamin deficiency. Yes, you can take antihistamine pills called Cetirizine to help deal with mosquito bites and the swelling reaction. I would suggest seeing a doctor first. In case you want to know more about mosquito bite allergies read our ebook: Outsmart Mosquito Bite Allergies Now!. All the best! Hey, im 13 and everytime i get a mosquito bite it swells up and is extremely itch and it swell to a point which looks like a giant bulge on my skin. My sister also gets mosquito bites but this never happens to her. Do i have skeeters syndrome? Hi Rozy, the best way to find out is to make an appointment with a doctor and check if you have Skeeter Syndrome. 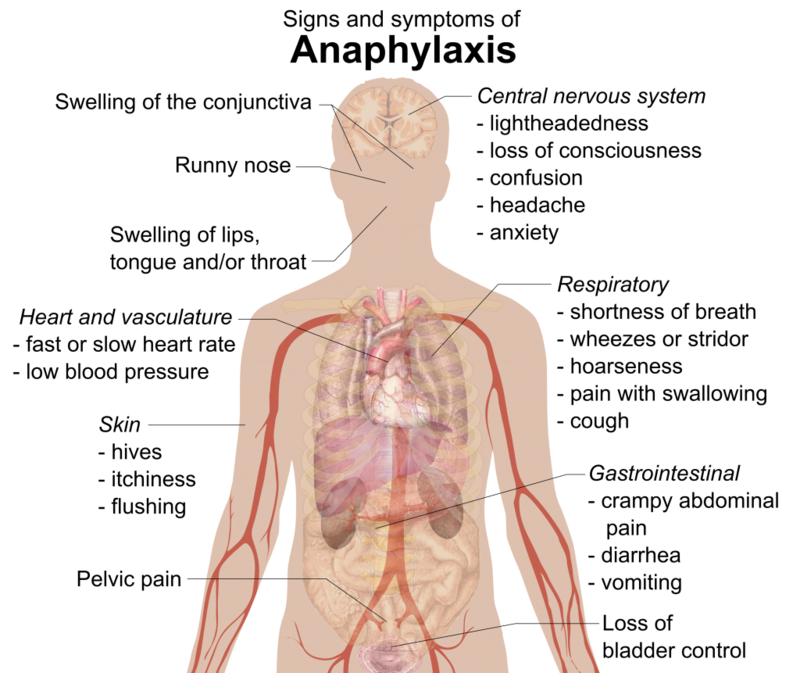 This site may be helpful after your doctor has diagnosed you. I whish you all the best and visit us back soon for ideas on how to prevent and remedy mosquito bites. I’m 37 diagnosed with psoriasis. I have noticed since then my reactions to mosquitoes have worsened. I have always attracted them and seem to get more bites then make companions but my reactions are significNky getting worse each passing summer. Yesterday i got 30 bites in 5 minutes. I have large lump on my forehead and two bites have swelled together on my leg to one gigantic patch, 6 inches diameter. My legs and my face seem to have it the worst. I have swellingn on my arms and back but my legs and face are aways worse an take longer to heal. I would rather this happen on my arms. My face looks like i lost a boxing match. Mosquito bites can indeed aggravate psoriasis. So can Mosquito repellents that contain DEET. If you happen to be near the ocean this summer i would suggest going for a swim. Make sure to rinse off well after swimming and put on a gentle moisturizer containing essential oils. Watch out for sunburn! Ask your dermatologist what he would suggest. Last but not least try and make your surroundings mosquito-free by following the natural advice given on our website to avoid being bitten. Wishing you all the best! I also got two bites on my right hand (they were quite far apart) and they swelled up but it went away within twelve hours. The bites are still there, and they feel like bruises, but it doesn’t look like it. The bites on my left foot that healed fell like bruises too, is that abnormal? Hi there Samantha, I do not think you have Elephantiasis. The only way you can find out if you have Skeeter Syndrome is to make an appointment with a doctor after your vacation. Next time you go on a camping trip make sure you take a mosquito repellent with you. Since you are 11 years old i would not suggest a repellent that contains more than a 10 to 30% concentration of DEET. I always recommend the natural approach such as using an essential oil combination with distilled water in a small spray bottle that you can carry along and spray on your legs, arms and other parts of the body that are exposed. Check out our Best Natural Mosquito Repellent page for more tips. Wising you all the best! Yes, toothpaste seems to get rid of the itch because fluoride in toothpaste seems to calm the sting. It could get messy if you have multiple bites over your body and you would rather not walk around with toothpaste on your legs or other parts of your body during summer. I would suggest using esential oils. 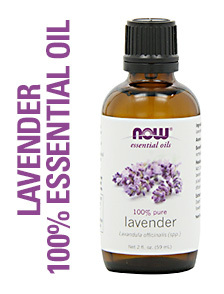 Lavender oil soothes the bites and acts as a natural anti-inflammatory aid. 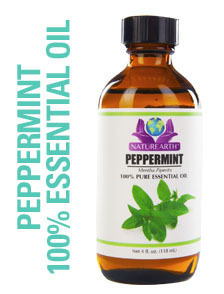 Spearmint, peppermint and lavender oil both reduce risk of infection. 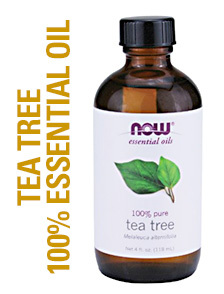 Tea tree oil disinfects the area as well. Please take a look at our page on How to Treat a Mosquito Bite. You can Also put essential oils in your bath in case you have been bitten all over the body and want quick relief. Take care! My oldest son breaks out in huge whelps and knots. He turns red and itches like others have discussed. I have never seen a limb or foot swell like you talk about but the bites do really swell. hurt, itch, etc. Do you think this could be sweeter syndrom? Hi Virginia, i would suggest to see a doctor immediately and do some tests to see if he has Skeeter Syndrome. Meanwhile use the mosquito bite treatment tips on this site to smooth the itching and swelling. Try to avoid him scratching the bites open. Take good care! I live in Canada and I am 50 years old. Yesterday I went on a picnic to Presqu’Ile Park and had to go through a forest to look for some wood, which resulted in me getting a bug (I’m assuming mosquito) bite in 3 places. There is one on my hand, one near my elbow, and one on my forearm. Within an hour, my hand started to swell up and now it is a day later and my hand has visibly swollen up and my fingers are also much bigger than the ones on my other hand. The other two bites are normal, itchy red bumps. What do you think I should do? Also, is this Skeeter Syndrome? You might have been bitten by an aggresive type of mosquito that was not common a couple of years ago in Canada such as the infamous Asian Tiger Mosquito. If you really want to know if you have Skeeter Syndrome i would suggest to let your health specialist diagnose you. Take care James! My husband had seasonal allergies as a kid & young adult, but not skeeters. At age 40 he needed chemo for lymphoma, cancer of the immune system. After chemo, the seasonal allergies disappeared, but the skeeters EAT HIM ALIVE. The bites swell up, turn red & itch fiercely. Since building up his immune system will also build up his cancer, do you have any suggestions? The doctors are only concerned with the cancer. Thankx very much. I am 44 years old, and have never had an issue with mosquito bites beyond the normal bump at the bite site and brief itching. Two days ago I was bitten twice on my forearm by what I think was a mosquito. I had two small bites, and not much of a reaction until I woke up this morning with swelling in a 2+ inch area around each bite. Both sites are pink, puffy and hard, and hot to the touch. They itch badly now, and I have a dull ache in my forearm. I’ve been using cold packs and ibuprofen, which haven’t helped much. I just began using a topical Benadryl itch relief stick. I live in GA, and earlier this summer had an issue with No-See-Um bites, but nothing that swelled up like this. I’m wondering if this is what I can expect going forward when I get a mosquito bite. I try to wear bug spray when I’m going to be outdoors in the summer, but this one got me in my house.